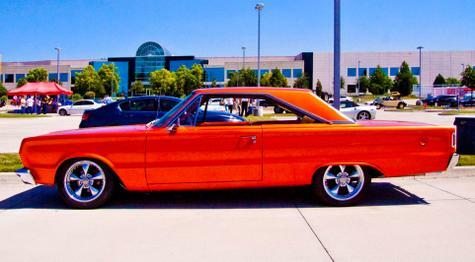 66 Plymouth Belvedere II, built 440 with 727. 17" wheels with custom center caps. Paint is an eye popping Malibu Sunset Orange Metalic.